9 day Taste of China tour including return international flights, all accommodation, breakfast daily, private coach transportation, in-depth sightseeing and more. per person twin share |	Typically $2,187! Ancient wonders, modern monuments and gorgeous gardens are just the tip of what to expect on this 9 day Taste of China tour. 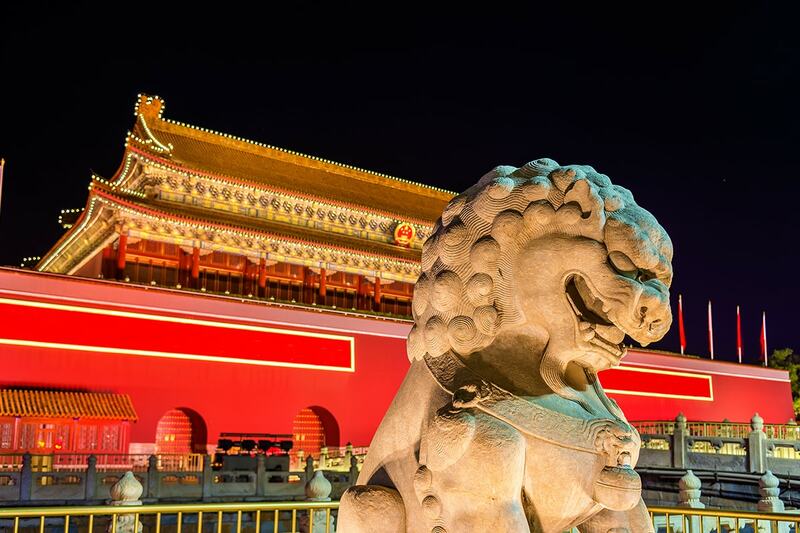 Begin in Beijing and discover the great sights of China’s capital city, from the awe-inspiring scale of Tiananmen Square to the secretive allure of the Forbidden City. Look in at the Mausoleum of Mao Zedong and enjoy a tour of the Summer Palace to admire its exquisite gardens and verdant landscaping. 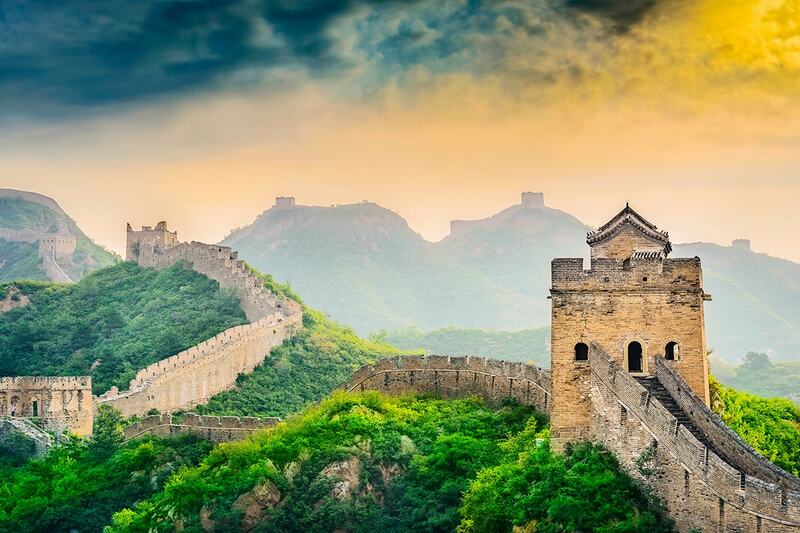 Journey to Juyong Pass to wander along a section of the ancient Great Wall of China and gain insight into why the wall was built and how it evolved over the centuries. Step from Old World China into the wonders of the modern age by travelling from Beijing to Wuxi and visit one of the largest freshwater pearl exhibitions in the country. 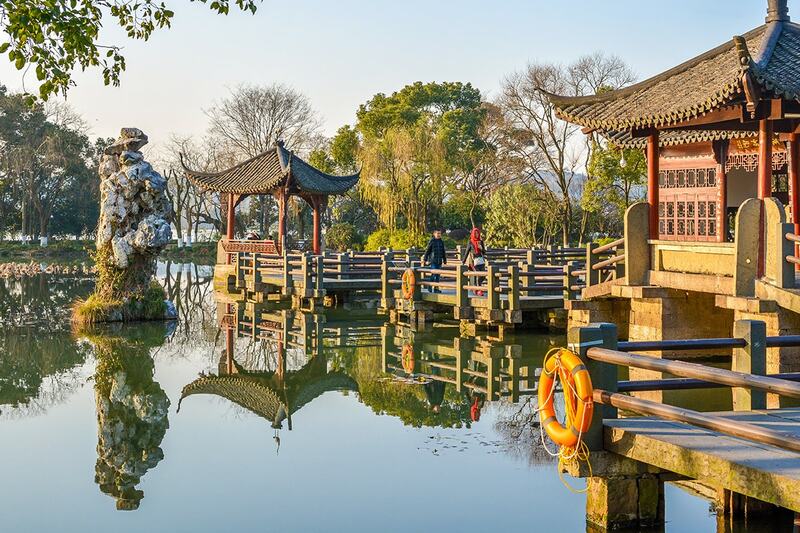 Seek out the elegant city of Suzhou and explore its winding canals, arched stone bridges and impeccable gardens. Take a moment to stop at a working silk-spinning mill to appreciate the workmanship behind this luxurious textile. 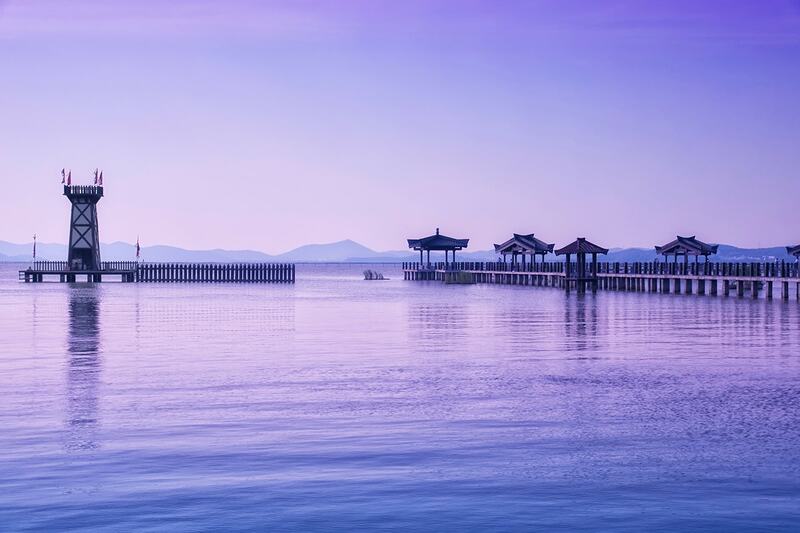 Travel to Hangzhou and end the tour with a boat ride on the serene West Lake. Fly to China and land in Beijing. A transfer takes you to the hotel. Please note: Some flights may depart the night before. The first stop of your China tour is the mammoth Tiananmen Square. 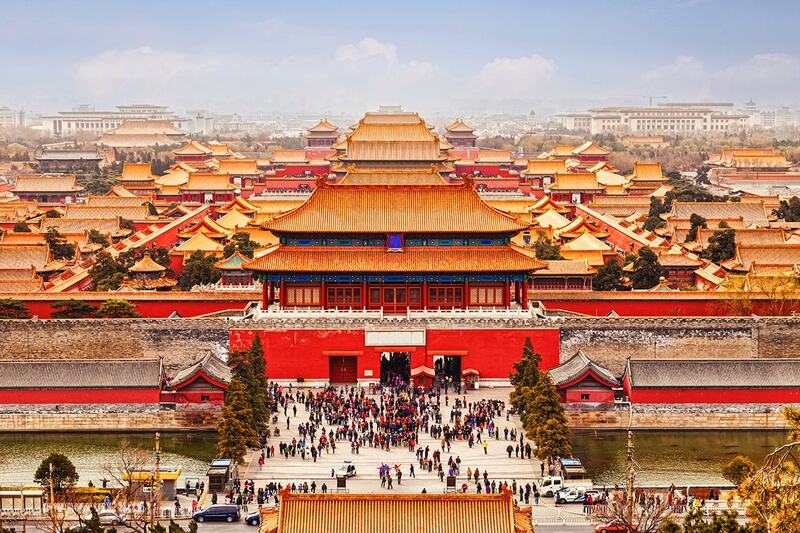 This city square is a true behemoth and is named after the northern Gate of Heavenly Peace, which separates the square from the sacred Forbidden City. While here, you will be able to see the Monument to the People’s Heroes, the National Museum of China and the Mausoleum of Mao Zedong. 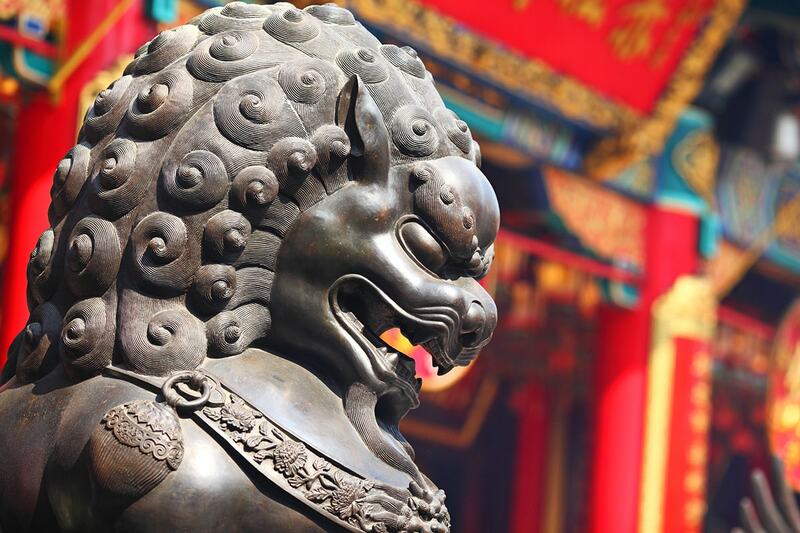 Optional Program (at own expense): Forbidden City Tour – Take a step into the mysterious world of emperors in the Forbidden City. 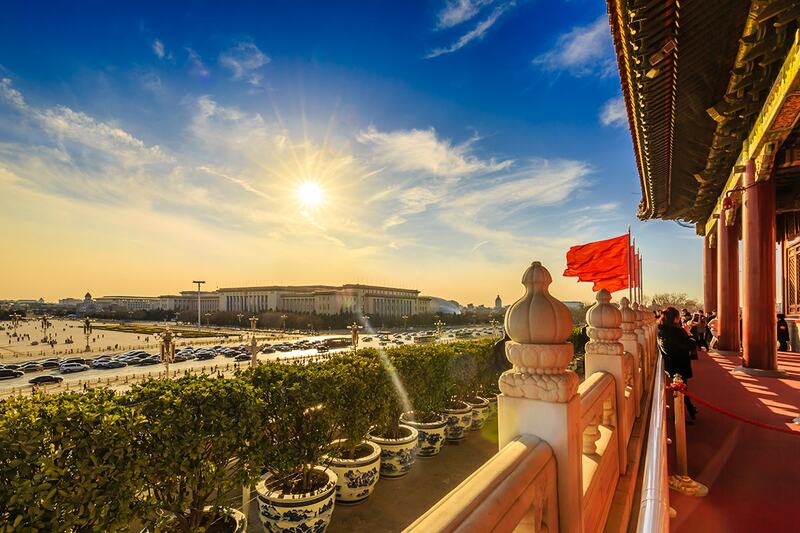 This architectural masterpiece was the former imperial palace for the Ming and Qing dynasties and is a sprawling complex that spans more than 180 acres and 980 buildings. The Forbidden City was declared a UNESCO World Heritage Site in 1987. Optional Program (at own expense): Peking Duck Dinner – Head out for a Beijing specialty for dinner tonight: Peking duck! Travel to the Great Wall of China at Juyong Pass. Along with Jiayuguan and Shanhaiguan, Juyong Pass is one of the most visited sections along the Wall and is located 60 kilometres from downtown Beijing. Here, learn about the Wall’s construction and climb this ancient structure. On the return journey to Beijing, the group stops at a large jade exhibit. There is also a trip to cloisonne factory following lunch. Optional Program (at own expense): The Golden Mask Dynasty – A show spectacular including dancing, acrobatics, magnificent costumes and a handful of surprises. Performed in a theatre near the Happy Valley Amusement Park, the show has been seen by more than 1 million people. 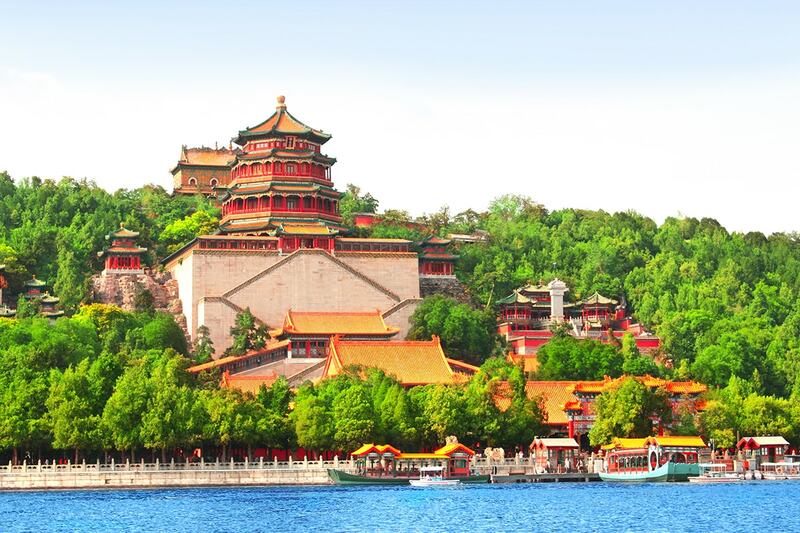 Take a tour of the Summer Palace, a preserved ancient park made up of lakes, palaces and gardens. It was also the former summer resort of Qing Emperors. After the Palace, the tour continues to a Chinese Herbal Medicine Institute to learn about traditional Chinese medicine and it includes an opportunity for you to be treated to a rejuvenating foot massage. Optional Program (at own expense): Hutong Life & Panda House Tour w/Lunch – Clamber into a rickshaw and be taken around Beijing’s hutongs (narrow streets or alleys) to admire these old courtyard dwellings. Take note of those that have been converted into upscale restaurants, tea houses and boutiques. This excursion includes a visit to a local family’s house to experience old Beijing’s way of life. The final pitstop is the Panda House in Beijing Zoo to see one of China’s most iconic symbols: the Giant Panda. Optional Program (at own expense): Chinese Kung Fu Show – Witness a show that is a combination of traditional Chinese martial arts, dance and high-flying acrobatics – all set in a modern theatre. Follow the storyline as you admire the stage design and watch as actors perform incredible kung fu demonstrations. Bid goodbye to Beijing as you board a bullet train bound for Wuxi – a high-speed journey that takes around 5 hours. 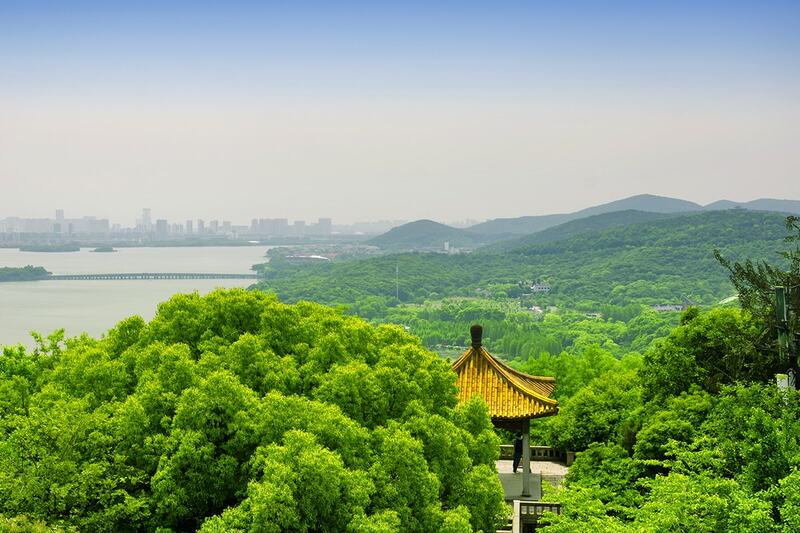 Wuxi is an ancient city, home to Lake Tai, a rich history and a warm climate. There is an evening stroll along the trendy-yet-traditional Nanchang Street where you will notice the juxtaposition of the city’s old and new world architecture. Optional Program (at own expense): Jiangnan Dumpling Lunch – Enjoy a traditional lunch that includes the famous xiaolongbao, a Chinese steamed bun filled with minced pork and soup. Visit one of the largest freshwater pearl exhibitions in China this morning. After lunch, board a coach and travel to Suzhou, an elegant city featuring canals, stone bridges and meticulously designed gardens. 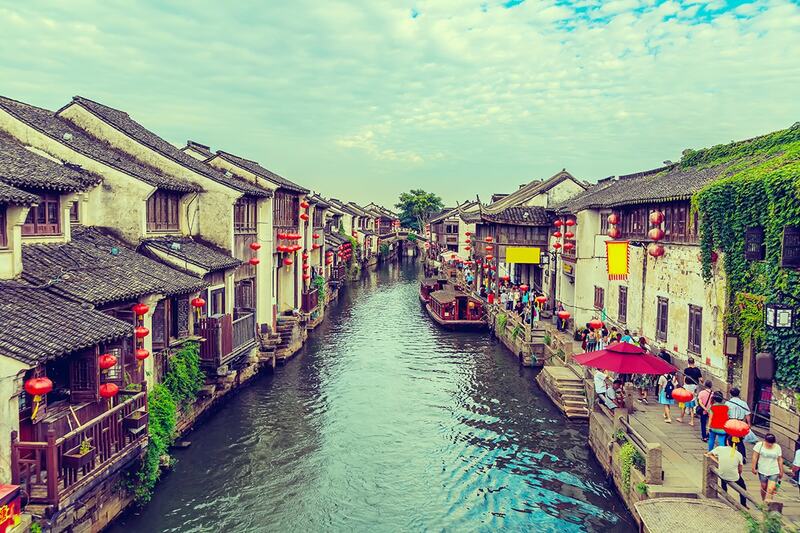 A large section of the city is covered by water, from ponds to streams, and has helped Suzhou earn the nickname, ‘Venice of the East’. Another of the city’s monikers is ‘Garden City’, thanks to its collection of classical gardens. There is a visit to the Lingering Garden. 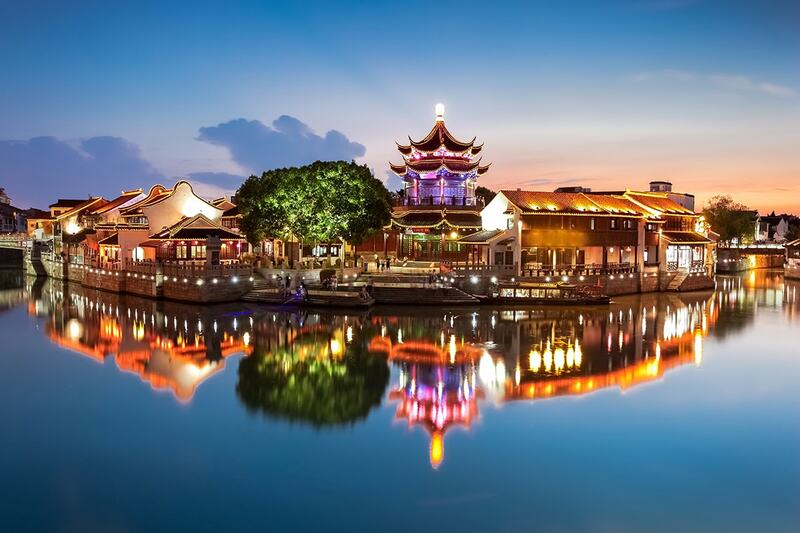 Optional Program (at own expense): Grand Canal Cruise – Take a cruise along the UNESCO World Heritage-listed Suzhou Grand Canal. Optional Program (at own expense): Western Buffet Dinner – Feast on a sumptuous Western-style buffet dinner at the hotel and relax with fellow travellers to wind down the day. On this morning’s agenda is a visit to a silk-spinning mill, where you will learn how silk is created by mulberry-munching worms. 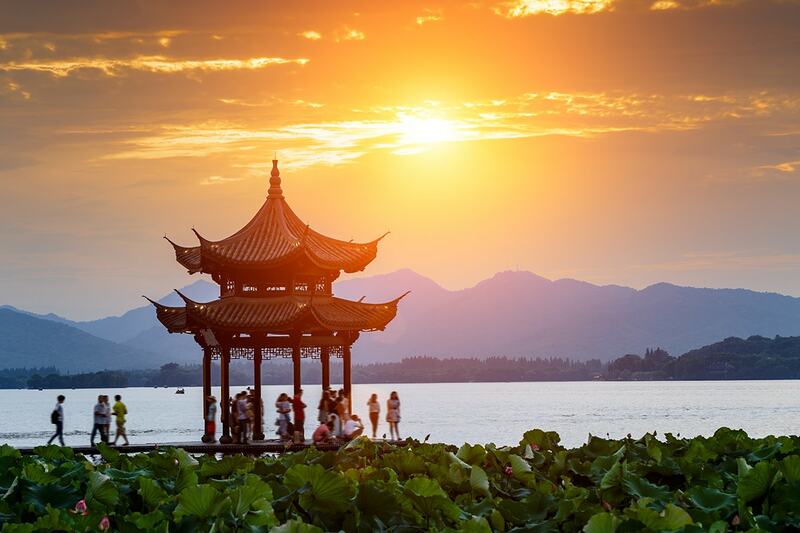 There is a lunch stop and then coach travel to Hangzhou, a destination described by Marco Polo as being one of the most beautiful and magnificent cities in the world. Get to know the city with a boat ride on the serene West Lake. Depart Hangzhou after breakfast and head to the airport to board a flight/s to Australia. Time allowing, there may be a tea-tasting experience at the Dragon Well Tea Plantation before departure. $500 per person in addition to the twin share price.